Are Termites Attracted to Certain Types of Wood? Termites are small insects with segmented bodies that have a reputation for destroying any structure that is made from wood. Understanding the tastes of these insidious pests can help you to minimize the damage to your home or business property. Some scientists assert that these insects are related to the ancient cockroach, and their bodies appear to have traits similar to both roaches and ants. The soldier termite has a reddish tint to their head, and worker termites have translucent heads that are similar to their bodies. They will consume a large quantity of plants, feces, decaying leaves, and paper products. This is important to know because many of these other items may provide the termites with an initial attraction. Once they are in the area of your home, they may begin to smell the aroma of the wood inside the building. Termites are primarily attracted to any materials that contain cellulose, which is an organic compound. They are capable of digesting wood and paper products because of the particular types of bacteria that grow inside of their abdomen. Their guts also contain a substantial amount of protozoa, which enables them to break down wood inside of their bellies. Other pests don’t have these traits, and this is a distinguishing characteristic. However, many customers may wonder if this creates a situation where the termite will end up preferring particular types of wood. Termites can invade your property and damage the structure of the building without drawing attention to their presence. These pests are attracted to wood that contains moisture and cellulose properties. However, they will also enter your home if they detect the smell of decaying vegetation in the yard. This may bring them close enough to your door to allow them to smell the wood inside of your building. There are only a few types of wood that will repel termites. They have the capacity to consume almost any type of wood, but they also have their preferences as well. For example, homes containing furniture made from teak or Peruvian walnut may face a higher risk of termite infestations. 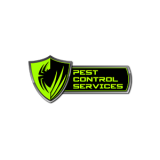 For additional information about pest control, contact our team.